Hydrocodone's change from schedule III to schedule II in 2014 was associated with an increase in the amount of opioids filled in the initial prescription after surgery. HealthDay News — Hydrocodone’s change from schedule III to schedule II in 2014 was associated with an increase in the amount of opioids filled in the initial prescription after surgery, according to a study published online Aug. 22 in JAMA Surgery. Joe Habbouche, from the University of Michigan in Ann Arbor, and colleagues examined trends in the amount of postoperative opioids filled before and after the U.S. Drug Enforcement Administration moved hydrocodone-containing analgesics from schedule III to schedule II. Data were analyzed from 5,120 prescribers and 21,955 inpatients undergoing elective surgical procedures across 75 hospitals who filled an opioid prescription within 14 days of discharge to home. The researchers found that the mean oral morphine equivalents (OMEs) filled in the initial opioid prescription increased by about 35 after the schedule change (β = 35.1; P < 0.01), which was equivalent to seven hydrocodone tablets (5 mg). Before and after the schedule change, there were no significant differences in the total OMEs filled during the 30-day postoperative period (β = 18.3; P = 0.55); the refill rate decreased significantly (β = −5.2 percent; P < 0.001). 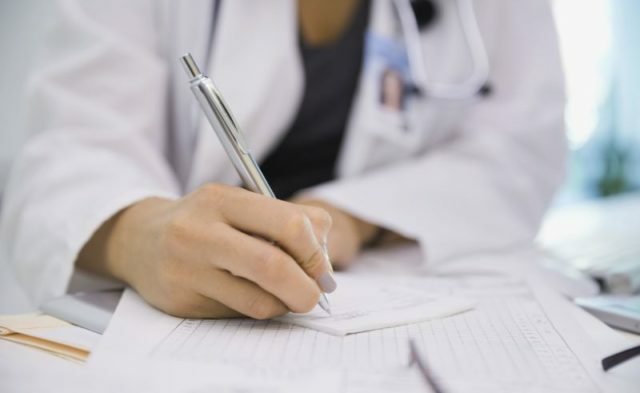 “Opioid-related policies require close follow-up to identify and address early unintended effects given the multitude of competing factors that influence health care professional prescribing behaviors,” the authors write.